For more information on how to become a SERV Underwriter or Partner, please contact Jim Vinyard: jvinyard@servone.org / 770.516.1108. Funding for our operations and growth is one of our biggest needs. We are seeking monthly support that will enable us to reach more people in need with nutritious food here at home and to the ends of the earth. It all starts with FOOD FIRST, but we cannot do anything without private funding. If you or your organization have a heart for what we are doing, we would love to hear from you. In addition to our Underwriters, SERV has a team of Business Partners who put a purpose behind what they do by partnering with SERV International to feed millions and make a difference everyday. There are many different models that can work well with your vision of giving back through your business. Please see our current partners below to see what they are doing to help feed people locally and globally. We would love to add you to this list! SERV is partnering with Isagenix Legacy Foundation for nutrition, health and wellness in Kenya through feeding programs and greenhouse projects. To learn more about Isagenix click HERE. To learn more about the Isagenix Legacy Foundation click HERE. SERV is partnering with Southeast Restoration Group through their widow and orphan initiative project to help feed those in need globally. To learn more about SRG visit www.southeastrestoration.com. SERV has made the Top 10 List for the past 3 years! SERV has been endorsed by ROI Ministry, which partners with leading ministry evaluation and auditing organizations like Calvin Edwards, & Co. and the National Christian Foundation to provide a carefully curated and researched list of the top ministries in the world based on impact and effectiveness. and in every US state. We have formed an ongoing partnership with SERV to help feed the hungry. Mama Jan Smith and her amazing team partner with more chart-topping artists than any other vocal producer or coach in the business. Yet, Jan Smith Studios remains equally passionate about discovering and shaping wide-eyed newcomers looking to make their mark in music. They are also passionate about supporting SERV International. Mama Jan has traveled to Kenya with SERV to experience life in a whole new way. To learn more read her blog On Holy Ground. Vector Global Giving is a natural extension of our culture and our strong belief that a few caring people can change the world. We have partnered with SERV International to help feed people with every container we ship. Taylor is the most trusted name in water testing. We believe in what SERV is doing in Cambodia and throughout the world, and we are giving back a portion of our proceeds to assist with SERV's Food, Water, Shelter and Life Programs. We believe a backyard swimming pool is a great way to strengthen the family and is part of the American dream. We also believe in SERV and what they are doing in Cambodia and around the world. We want to make a difference and will be donating a percentage of our profits to help them with their Food, Water, Shelter and Life projects. My Smart Shirt believes that we can help change the world, one t-shirt at a time. That’s why with every custom designed t-shirt you purchase, we give a portion of our proceeds to SERV International to feed a child for a day. Buy a shirt = feed a child. Now that's a smart shirt! The believe the possibilities are endless for us in making an event everyone will remember. We also believe in SERV and what they are doing at home and around the world. We want to be a part of this too, and will be donating a percentage of our profits to help them reach more of the unreached, using Food as a platform to share God’s love. Founded in 2011, our SERV Stores are for-profit discount retail stores that contributes a percentage of its net profits to SERV International. The SERV Store is a closeout liquidation store carrying product lines from all of your popular retail & online stores and boasts incredible deals on furniture, small appliances, home décor, clothing, mattresses, electronics and more. Every purchase at SERV Store makes a difference; impacting the lives of many people globally. One store is located in Cartersville, GA and the other is in Canton, GA. They are our main funding partners. To learn more, visit www.servstores.com. We want everyone, everywhere to encounter Jesus. We believe film is the most dynamic way to hear and see the greatest story ever lived - so we are driven to bring Christ-centered video to the ends of the earth. More than 490 million people have come to Jesus after watching these films and we are excited to partner with SERV International who shares the same vision as we do. GOODlife Magazine will be giving back a portion of every advertising package bundle they sell. They will be saving lives through their partnership with SERV by providing meals to people who are starving around the globe. To learn more, visit goodlifemagazine.org. Urban Renewal is a a beautiful, upscale consignment boutique located in Woodstock, GA. They have fed thousands of people globally through their generous donations of women’s clothing. 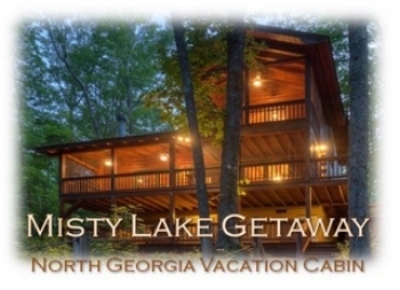 Just 15 minutes from downtown Blue Ridge, Misty Lake Getaway is a family owned vacation cabin nestled in the beautiful North Georgia mountains on a small private lake. We are thrilled to partner with SERV by providing 25 meals for every night booked. Seeds Thrift Store is a nonprofit shop that supports The HOPE Center – a pro-life pregnancy resource center serving Woodstock, GA and the surrounding area. Their passion is saving babies and they help do this by selling your gently used clothing, home goods, furniture and so much more. They have partnered with SERV to help feed people globally through clothing donations. Provides a percentage of profits to support SERV. A percentage of the sale of a designated car each month will go directly to SERV International and their efforts to provide Food, Water, Shelter and Life. Raising Self Esteem one child at a time with Daily Affirmations and Bright Colorful Zoo Animals. The book that Literally Changes lives. The Incredible Little Happy shares its profits with SERV and other people in need. YOU can partner with SERV and Kroger by registering your Kroger Card in their community rewards program. Kroger will then donate to SERV every time you shop in their stores! YOU can partner with SERV by registering your Amazon account in their Amazon Smiles program. Amazon will then donate to SERV every time you shop on their site! Aerial Observers, LLC. is a veteran owned and operated small business fulfilling the growing consumer need for aerial videography. We provide high definition, high resolution, custom edited photography and aerial videography services for residential and commercial real estate, corporate marketing, special events and emergency management. We also produce interactive 3D virtual reality renderings of properties and venues. Greater Than Sheets are exclusively sold at SERV Store Canton and SERV Store Cartersville. These are the softest sheets you will ever sleep on. We give back a portion of each sheet set sold to SERV International. Now that’s even greater!